President Trump on Friday issued an executive order finalizing his pay increase plan for federal employees for 2018. The White House stuck with previously announced plans to increase federal civilian pay by 1.9 percent next year, with 1.4 percent going toward an across-the-board increase and 0.5 percent going to locality-based increases. In May, the Trump administration first proposed a 1.9 percent pay increase for civilian feds and a 2.1 percent increase for members of the military as a part of its fiscal 2018 budget request. Last month, Congress voted to increase the across-the-board raise for service members when it approved the 2017 National Defense Authorization Act. Although some lawmakers called for Trump to continue the tradition of pay parity between the military and civilian workforces, Congress did not intercede to further increase civilian pay rates. 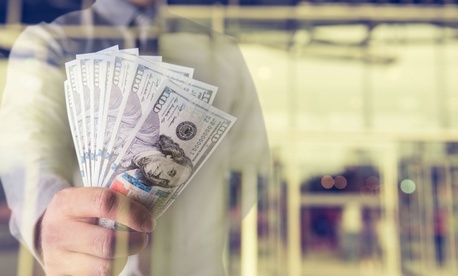 In August, Trump formally announced his alternative pay plan to increase pay by 1.9 percent, a requirement to prevent a much more generous raise from automatically kicking in as a result of the 1990 Federal Employees Pay Comparability Act. “A pay increase of this magnitude is not warranted, and federal agency budgets could not accommodate such an increase while still maintaining support for key federal priorities such as those that advance the safety and security of the American people,” Trump wrote in his August statement. The new pay rates will take effect on the first day of the first pay period beginning on or after Jan. 1, 2018. Click here to view the 2018 pay tables. Earlier on Friday, the Office of Personnel Management released the Presidential Pay Agent’s report on locality pay for 2018. The pay agent accepted 2016 recommendations from the Federal Salary Council to begin work to include Birmingham, Al., and San Antonio, Texas, in the locality pay tables in future years, but it delayed plans to add Burlington, Vt., and Virginia Beach, Va., which were originally slated to be added for 2018. In that report, the White House also called for “fundamental reform” to federal compensation and suggested a potential shift to performance-based pay. This story has been updated with a link to the 2018 pay tables.